When this someone I called W told me that he managed to get a Sugar Glider through an online website, I was like "huh"... what is that? Then he forwarded a picture of SG to me.... oh my, this is the first time I have seen such a creature, Big eyes, pouted nose, soft greyish fur with a long tail. I was told that it comes from a Koala and Kangaroo species, living in pouches and clinging to your finger or whatever it can grasp hold of. Anyway... W is not devastated.. he loves this SG very much... he does not regret bringing it home, instead, he has more caring towards the Sugar Glider now... He accompanies him wherever he goes... even though the SG cannot see, he can sense his owner, W... They are now good friends! May they remain good friends forever! Sugar gliders are popular pets around here. Very friendly and high energy. Sometimes they display and sell them in the shopping malls!This baby is so lucky to have a an owner like your friend, who is so dedicated! So cute. Like squirrel. I didn't know such animal too. 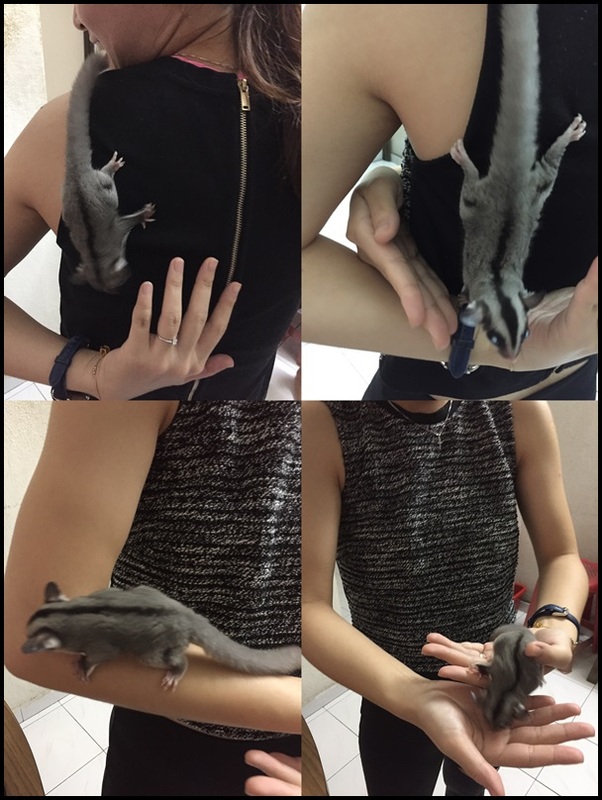 The first time I saw a sugar glider was at a pet show in Menglembu. It is blessed with a kind owner who will give it good care and love.